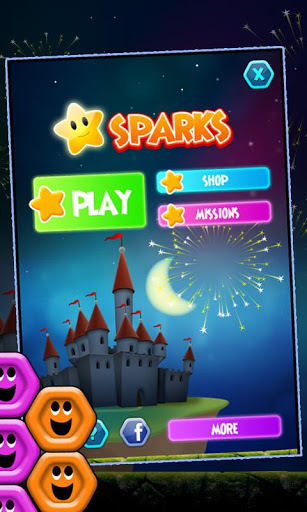 It was a dark night in the kingdom, and only the moonlight was shining… it's time to lighten up the sky with some Sparks! 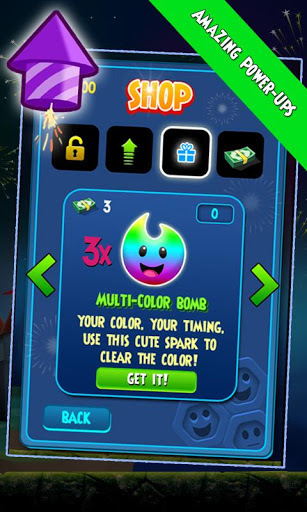 Do you want to witness a massive chain reaction of sparkling colorful lights? Match 3 tiles with identical colors to make them pop & disappear! 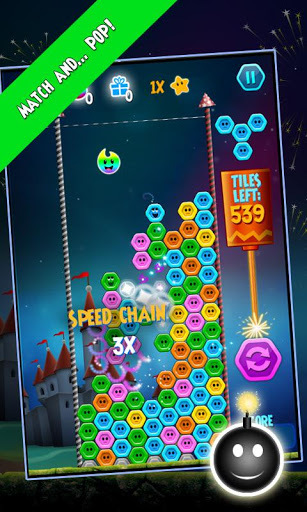 The more matches you make – the longer & sparkly chain reaction you will create… and higher scores you will get! AND, if you are looking for extra action, get to the higher levels of the game, where you’ll find action-packed challenges such as narrower fields, lower lines, cool tiles groups' shapes, and many more. • Tap on the screen to move the cluster right or left. Tap on the bottom of the screen to make the cluster fall faster. 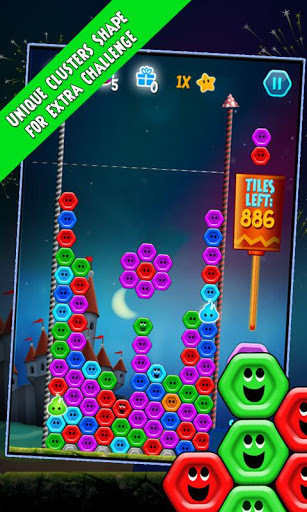 • Match 3 tiles or more with identical colors to make them pop & disappear.